3/24/2017 – Sweet 16: 8 Possible winners selected: Each will be awarded a $25 gift certificate from Jerry’s Subs and Pizza (valid at participating locations). 3/25/2017 – Elite 8 Bracket 1: 2 Possible winners selected: Each will be awarded a $25 gift certificate from Jerry’s Subs and Pizza (valid at participating locations). 3/26/2017 – Elite 8 Bracket 2: 2 Possible winners selected: Each will be awarded a $25 gift certificate from Jerry’s Subs and Pizza (valid at participating locations). 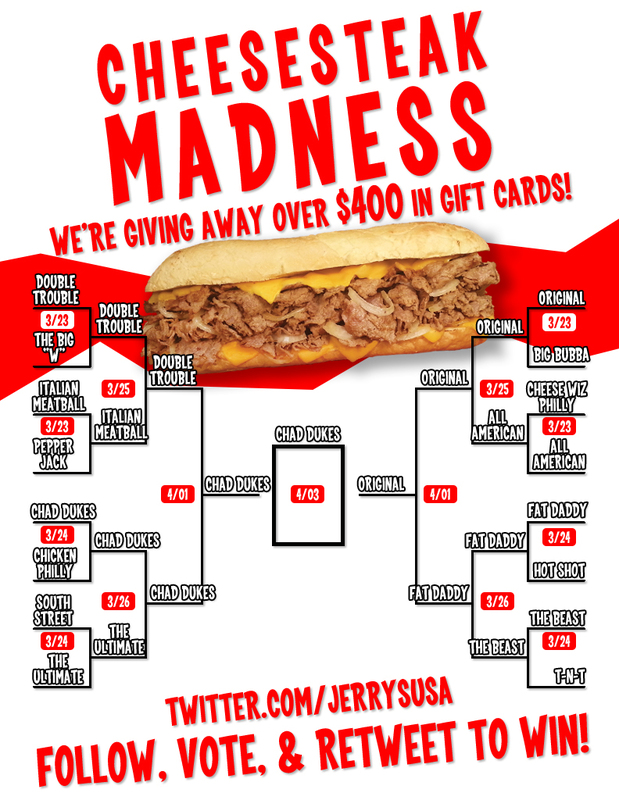 4/1/2017 – Final 4: 2 Possible winners selected: Each will be awarded a $50 gift certificate from Jerry’s Subs and Pizza (valid at participating locations). 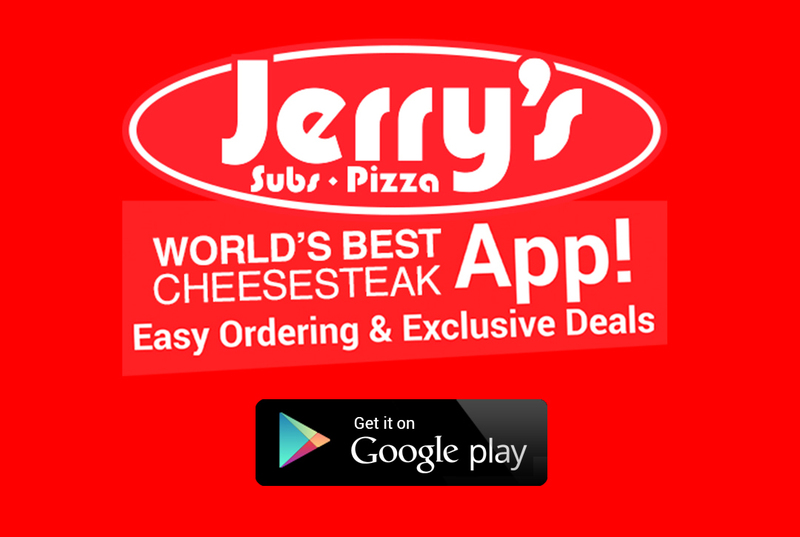 4/3/2017 – Championship: 1 Possible winner selected: Winner will receive a $50 gift certificate from Jerry’s Subs and Pizza (valid at participating locations).